BOSTON, MA—The Boston Red Sox today signed right-handed pitcher Josh Beckett to a four-year contract extension through the 2014 season. Terms were not disclosed. Beckett led the Red Sox staff with 17 wins in 2009 while posting a 3.86 ERA (91 ER/212.1 IP). Named an All-Star for the second time last year (also 2007), the 29-year-old right-hander finished among American League leaders in winning percentage (2nd, .739, 17-6), complete games (T-3rd, 4), wins (T-4th), strikeouts per 9.0 innings (5th, 8.43), strikeouts (6th, 199), innings (9th, 212.1), opponent batting average (9th, .244) and fewest walks per 9.0 innings (9th, 2.33), and set career marks in innings, strikeouts and complete games. At Fenway Park in 2009, he was 10-1 with a 3.59 ERA (43 ER/107.2 IP), finishing tied for the Major League lead in home wins. 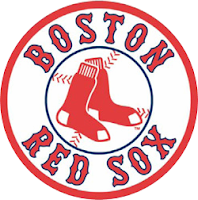 Acquired by the Red Sox from the Marlins on November 24, 2005, Beckett signed a three-year extension in July of 2006 which included a club/vesting option for the 2010 season. He has compiled a .657 winning percentage (65-34) in 123 starts with Boston since the start of the 2006 campaign, the fifth best mark in club history among hurlers with at least 70 decisions. He ranks third in the American League with 724 strikeouts since 2006, fifth with 796.2 innings and tied for sixth with 123 starts while posting a 4.08 ERA (361 ER). In that time, he is also second in the Majors with 34 wins on the road, one behind Carlos Zambrano. Beckett earned 2007 Red Sox Pitcher of the Year honors from the Boston Chapter of the BBWAA after he led the Majors with 20 wins. Originally selected by Florida in the first round (second overall) of the 1999 First-Year Player Draft, Beckett has posted a 106-68 record, 3.81 ERA (595 ER/1,405.2 IP), 1,331 strikeouts and 429 walks in 229 Major League appearances (226 starts) over parts of 10 seasons with the Marlins (2001-05) and Red Sox (2006-10). He is sixth in the Majors with 1,194 strikeouts since the start of the 2003 campaign and joins Javier Vazquez as the only hurlers in baseball to record at least 150 strikeouts in each of the last seven seasons from 2003-09. His 80 wins since 2005 are third in the Majors during that span. In 14 career postseason games (13 starts), Beckett is 7-3 with a 3.07 ERA (32 ER/93.2 IP). Among pitchers with at least 80.0 career postseason innings, he ranks with the leaders in opponent batting average (3rd, .198) and on-base percentage (4th, .253), base runners allowed per 9.0 innings (4th, 8.84), and winning percentage (10th, .700). He has tossed three complete-game shutouts in the playoffs, tied with Mordecai Brown (1906-10) and Whitey Ford (1950-64) for second most all-time, one behind Christy Mathewson (1905-13). Beckett was named MVP of the 2003 World Series with the Marlins and earned 2007 ALCS MVP honors with the Red Sox. Beckett was honored by Children’s Hospital Boston with the 2009 Champions for Children Award and unveiled the Josh Beckett Treatment Room at Children’s Hospital in early 2009. He has hosted the Beckett Bowl each of the last three years, benefitting the Josh Beckett Foundation and Children’s Hospital Boston.